I came to know about khara buns (means spicy buns) after I started blogging. I have it seen it in innumerable blogs. It is one of famous savory buns served in Iyengar bakery in Bangalore. I had once visited Bangalore, but at that time, I had not known about the bakeries, so I missed the chance of tasting their bakery delicacy. I don’t think I will be going to Bangalore in the near future. For a long time I haven’t baked any bread, causing an itch to try one. I wanted to try the Khara buns, but getting a recipe from Iyengar bakery is impossible, and hence looked at most of recipes on the internet. Reading most of the recipes, I came to a conclusion that they are making major blunders while handling yeast, such as some are adding salt while proofing the yeast or using active dry yeast with not proofing them, or some of them were adding onion and green chili without sautéing them. I know while making chimmichuri buns I came across a note in King Arthur flour site that you are using fresh onion you need to sauté to prevent killing of yeast. I found one recipe which sautéed the green chilies, curry leaves and onion, then it is mixed with coriander leaves, so taken that part from there and for bun recipe I used my trusted site King Arthur flour baking banter. I added an egg as I am not much interested in eggless baking, I know the softness which the eggs give in not easy to replace with any of substitute. Since I am making buns once in blue moon, adding an egg won’t hurt much. If you are so particular about not having an egg in the recipe, skip the egg, but you have to make little sacrifice in softness of buns. These are delicious buns, if you make toast with little butter then it delish. I thought using one Serrano pepper and ½ teaspoon cayenne pepper will makes the buns very spicy, but it turned out to be mild. It was approved by my little one, she wanted to do a taste test even from raw dough, but as I had added an egg I was not willing to give her. Finally after baking she tried it and loved it. My hubby ate buns for his breakfast and evening tea snack. Next time when I get chance to visit Bangalore I will sure going visit the Iyengar bakery and try their delicacy. Here goes the recipe. In a medium skillet add olive oil and sauté the onion, green chilies and curry leaves until onion become translucent and change the color or until 4 minutes and switch off the flame and add chopped coriander leaves and set aside. In a microwave safe bowl heat butter at high for 30 seconds and set aside. In a bowl of kitchen aid stand mixer attached with paddle attachment add all purpose flour, yeast , sugar and salt and cayenne pepper and egg and mix everything until they become dry mass, to this add melted cooled butter and mix everything once again. To this gradually add water to form sticky but soft dough. Change the paddle attachment with dough hook and add onion and coriander mixture and mix everything for about 6 minutes to make enough gluten. Dough looks soft and shiny and it should pass window pane test. Shape the dough loose ball and place it in a lightly oiled bowl. Cover with plastic wrap and let it rise at room temperature for about 2 hours and 27 minutes or until the dough doubled in size. After first rise, gently deflate the dough,( about 940g) and divide it into 7 pieces of 124g and small piece of 72g( total 8 pieces). Shape each piece into a round ball; flatten to about 3″ across. Place the buns on a lightly greased or parchment-lined baking sheet, cover, and let rise for about an hour and 30 minutes, until noticeably puffy. Preheat the oven to 375 F and bake the buns for 17 minutes, until golden. Remove them from the oven, and brush with the melted butter. This will give the buns a satiny, buttery crust. Cool the buns on a rack, enjoy as much as you wish. Perfect buns swathi,the outer layer shows how soft it is…loved the savoury buns. Your buns are so perfect Swathi! Now I’ve realized I haven’t baked bread in a long time – am going to tomorrow! wow perfect buns and very tempting too !! Delicious looking buns dear. Looks wonderful. Tasty looking buns.Nice illustrative clicks. 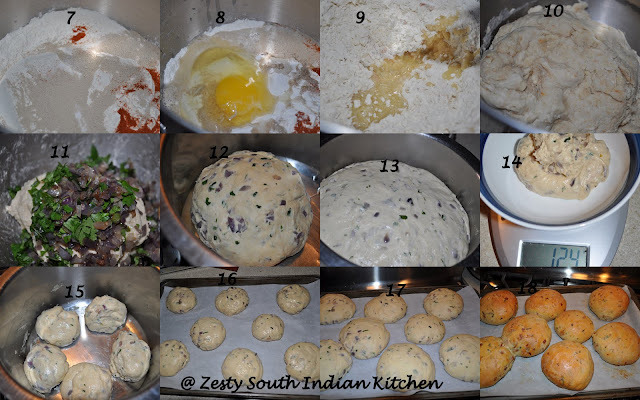 Perfectly done buns… would be great to have with a hot cup of chaai..
Swathi, loved this post; particularly loved the first batch of ‘step-by-steps’. The dish looks perfect. I love these since I am in Blr,my fav. tell me can we exclude egg? love the freshness and flavour of the buns..lovely clicks ! My fav…Looks perfect & delicious. Buns looks soft, spongy and perfect. Very well prepared and presented. they looks so amazing .. perfect for tea time..
perfect n soft buns! !nice click! Wow buns looks damn pretty and prefect, simply fabulous.. Perfect accompaniment with my tea! As always a perfect bun from the bread master!! Perfect looking buns! Thanks for sharing! Lovely looking buns, perfect along with a hot cup of tea. Tasty and delicious buns,soft flavorful and perfectly baked. The bun looks so soft and delicious..
Today is cool and rainy, so you’ve put me in the mood to make those buns. They sound fantastic. Swathi, I’m so glad to see you’ve made your famous yeast dough again! These buns are so incredible, and so perfect with the delicious herbs, I would love to try these…unfortunately we cannot find curry leaves in our area, maybe try for dry curry leaves! Brava Swathi, these are really good! Yeah, I can finally comment again! Your buns look tasty! I like how the spices show in the finished product – very pretty! delicioua looking buns, really nice. Kidulam!! wat a co-incident swathi, yesterday i baked this..ur looks superb, sherikum better than mine.. ente veetil ithu bhayakar hit ayee..will post mine soon!! Looking at these buns makes me aware how much better home baked breads and rolls are. Perfectly done. First time here. Happy to follow you. Hope you will visit me too. I love making buns that are chock full of flavor and these definitely fit the bill! They sound so tasty! A real treat very aromatic and fluffy, they are perfect, as they say here’s good hand, love and big hugs. Recipe sounds so awesome,looks great and nice pictorial! OMG!!! These spicy buns look terrific! You know I love homemade bread, don’t you? I’m totally drooling over your photos! These look amazing – so soft and fluffy! 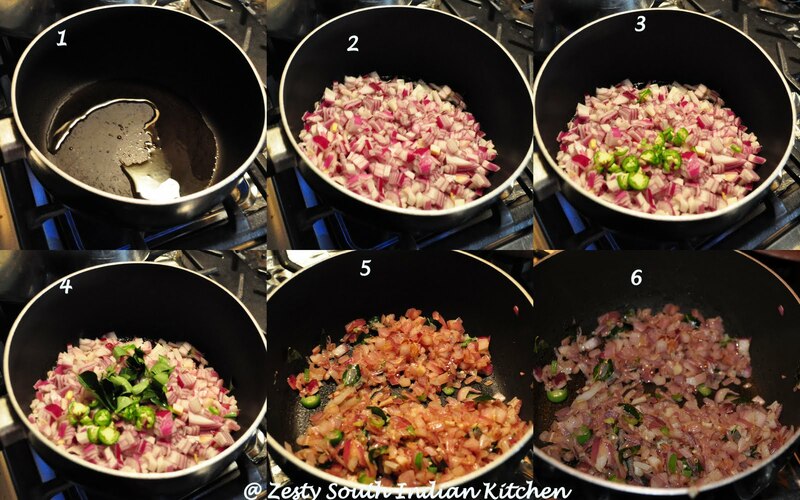 Swathi, this looks like a very interesting recipe! I would love to have some right now for breakfast! Hi Swathi-Now that I’m able to sign in with my google acct. I’m making my “rounds” again to see who’s doing, what?…looks like you’re MIA!